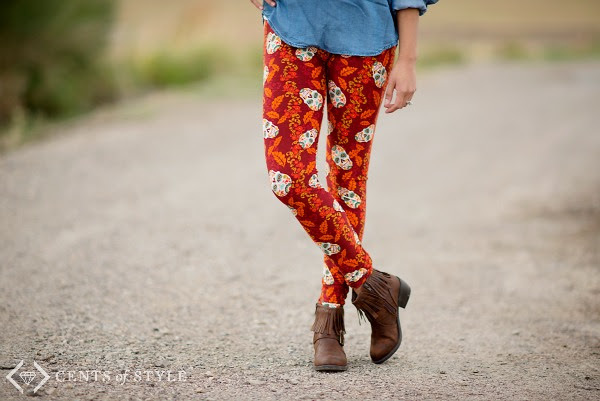 Today's #StyleSteals is all about Halloween Dressing Tricks that are all TREATS!! Sugar skull leggings for $9.99 & cat & devil ears for only $5.95. That's not the only deal though, with the coupon code other items in our collection will be an additional 20% OFF. The whole costume thing not your jam? Or maybe it is and you just prefer to keep your killer costume underwraps until the halloween haunting officially begins. Either way, that doesn't mean you need to miss out on having a terror-ific time on October 31st. Today, we've got all the tricks for your orange and black dressing this October. Here are some perfectly festive but practically fearless options for all hallow's eve. Don't be a scaredy cat. 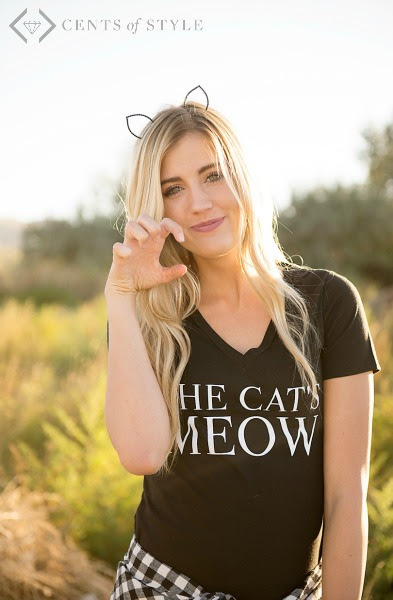 Look for our new cat graphic t-shirts paired with a jeweled cat ear headband. Baubles and bracelets are a great way to add a little festive flair to your outfit. Plus, they're incredibly easy to throw on as you're running out the door. Sugar skulls are traditionally part of the day of the dead celebrations, but these brightly colored and beautiful designs will add a festive pop to look. Look for our sugar skull tribal print infinity scarf. Already available at affordable, low prices, today's style steals deal has these items even lower(!!) --so you can have just the right amount of spook in your October 31st festivities.